McALLEN — April showers may mean May flowers, but May in collegiate track and field means conference meets and athletes waiting in bloom for a possible NCAA regional birth. 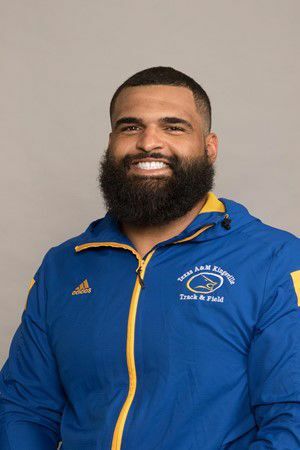 >> Richard Cervantes, Texas A&M-Kingsville, Lone Star (Division II): Cervantes, the junior and Sharyland High grad, won gold in the shot put and discus events. He tossed the shot 53.40 feet, and he threw the discus 185.76 feet. Cervantes qualified for the DII NCAA regionals. 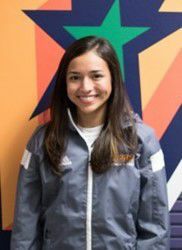 >> Gabby Torres, UTSA, Conference USA (DI): Torres, a junior from Port Isabel, took fourth place in the women’s heptathlon with 5,117 points. Among the seven events, Torres took first the in high jump and sec-ond in the long jump to bolster her point totals. In 2016, the 5-foot-8 Torres finished 12th in the conference heptathlon. Last year, she moved up to sixth. >> Ione Rodriguez, Our Lady of the Lake University, Red River (NAIA): Rodriguez, a senior from Port Isabel, was a very busy young woman at the conference meet. The 5-foot-2 distance runner placed third in the 3,000-meter run, second in the 5,000, third in 10,000 and first in the 3,200 relay. 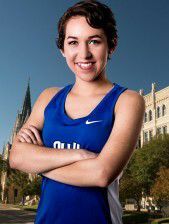 With her help, the OLLU women won their first ever conference track and field championship. 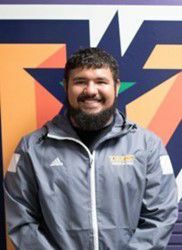 >> Antonio Salinas, UTRGV, WAC (DI): Salinas, a sophomore from Mission High, took home the silver medal in the shot put. The first-team all-conference performer tossed the shot 52.76 feet. The 5-foot-10 Salinas also finished sixth in the discus event with a throw of 159.58 meters. 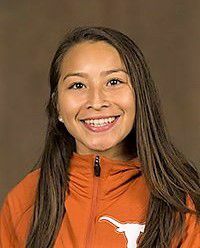 >> Valerie King Mancha, UTRGV, WAC (DI): Mancha, a junior from PSJA High, finished in fourth in the 400-meter dash with a time of 57.21 seconds. She also picked up a silver medal when Mancha and her teammates in the 1,600 relay placed second with a time of 46.77 seconds. >> Alex Cruz, University of Texas, Big 12 (DI): Cruz, a junior from Edinburg High, earned a bronze medal in the 1,500-meter run with a mark of 4:31.28 — just three seconds off the pace. 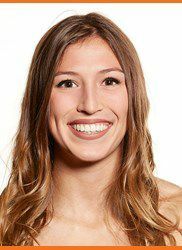 The time was Cruz’s best in the 1,500 at the collegiate level, as she has run multiple different events before settling on the 1,500. Last year, she placed 12th in the 10,000-meter run at the Big 12 Championships. >> Felipe Valencia, University of Houston, American (DI): A junior from La Joya Palmview, Valencia tossed the shot 64.4 feet and took home the silver medal for the Cougars. Valencia, a former UIL state champion, posted that mark on his fifth and final throw. He also picked up eight points for the Cougars, who won the men’s and women’s American Conference team titles.